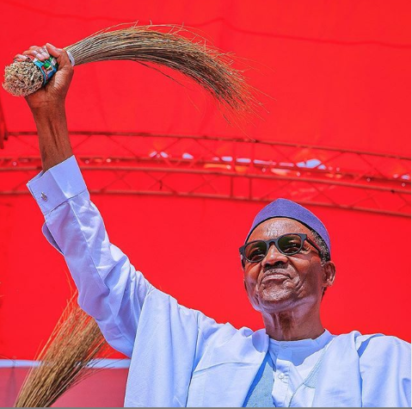 President Muhammadu Buhari has arrived the MKO Abiola International stadium, Abeokuta for the Ogun State All Progressives Congress presidential rally. Buhari was accompanied by the National Chairman of the party, Adams Oshiomole; the governorship candidate of the party in the state, Dapo Abiodun among others. The former governor of Lagos State, Bola Tinubu, immediate past governor of Osun state, Raufu Aregbesola; former interim National Chairman of APC, Bisi Akande had arrived few minutes before the presidential team arrived.